Tongue Trip to Italy – Butter, Baking, and Bacon! The Domestic Diva is about to embark on a new journey….hand made pastas! I want to crack eggs into a valley of flour on my counter and form pastas of all shapes and variety. I dream of creating pillowy clouds of ravioli filled with luscious combinations like braised short rib and truffle cream sauce, or a paparadelle with a browned sage butter sauce. Yes, I have a dream of a taste tour of Italy via the tongue until my teacher salary gets me to Venice or Rome! While I’m waiting to start this pasta making pilgramage, I turned to fresh ravioli that you can get from your fresh pasta section or at organic markets like Earthfare or Whole Foods! 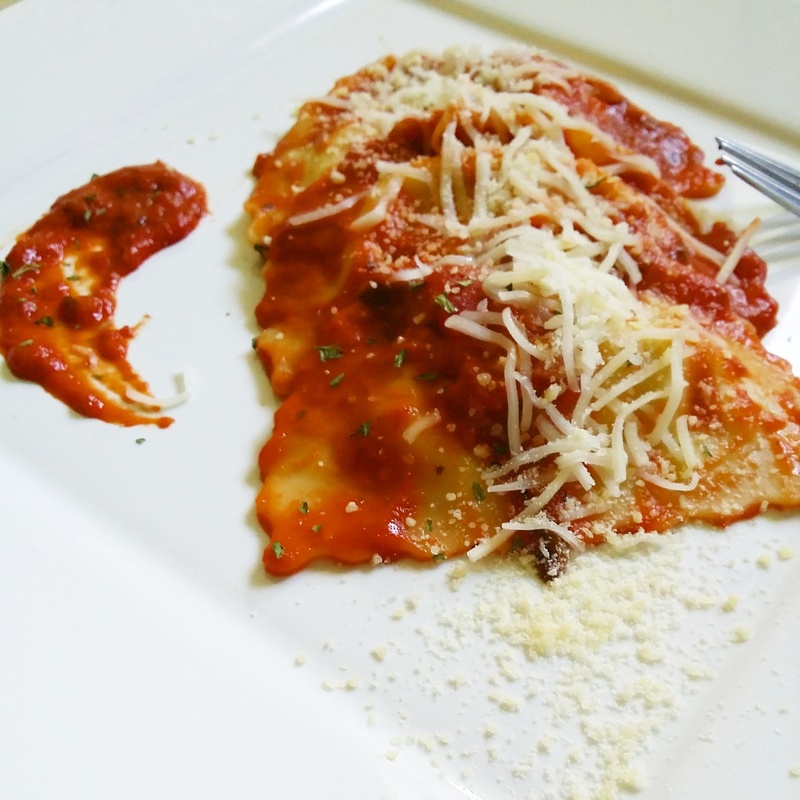 I chose an Italian Sausage and Four Cheese stuffed ravioli and topped with my simple marinara sauce and fresh parm! Do you have any fresh pasta tips or wishes?